Manage the employee life-cycle from beginning to end. 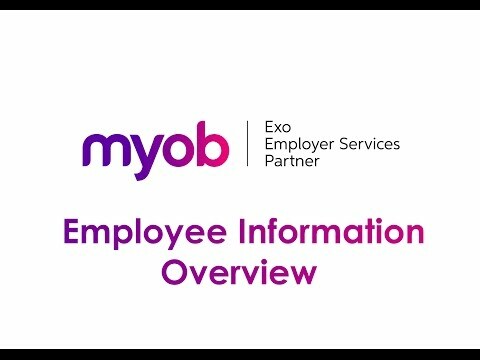 MYOB Exo Employee Information allows you to easily track and manage your staff information from one central location. It is a powerful, easy-to-use data management tool which puts all your staff information at your fingertips. Stay current with all your HR records, from job descriptions and candidate records, to performance reviews and disciplinary matters. And with Exo Employee Information’s reminder system, you can easily schedule reviews, training updates and inductions for employees – even for employees who’ve moved to another part of the company. Set up individual users with specific access rights.